One evening, after thinking it over for some time, Harold’s mother decided to have a baby. She didn’t own any baby things. And you need baby things if you are going to have a baby. And a baby itself. So Harold’s mother drew them. She named the baby Harold. But there were a lot of baby things. Dozens or hundreds of baby things. She soon realized she didn’t need many of the baby things she had drawn. 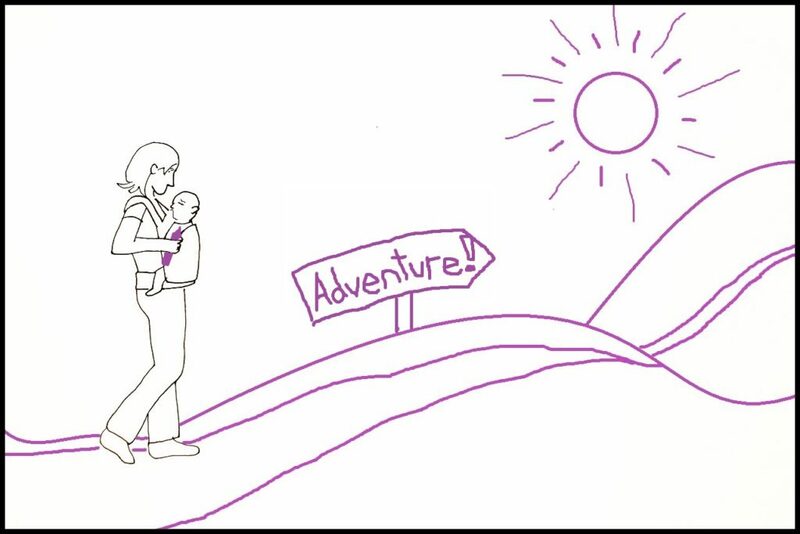 So she set off on an adventure, taking her baby, a few diapers, and her big purple crayon with her. But babies are complicated. And Harold’s mother got nervous that she was doing things incorrectly. 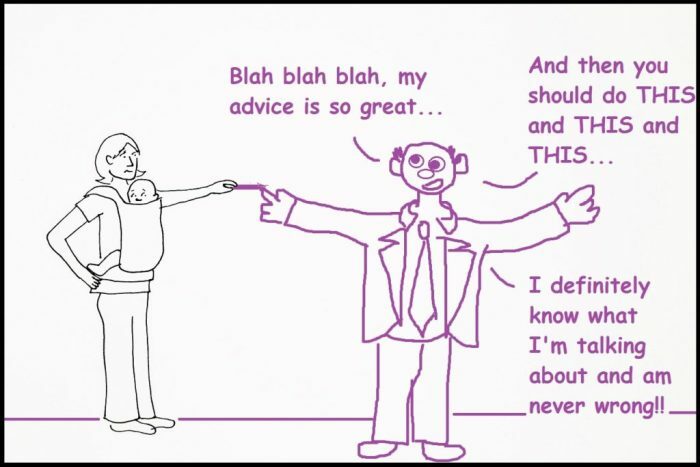 So she drew an expert, who would not stop telling her what she was doing wrong. 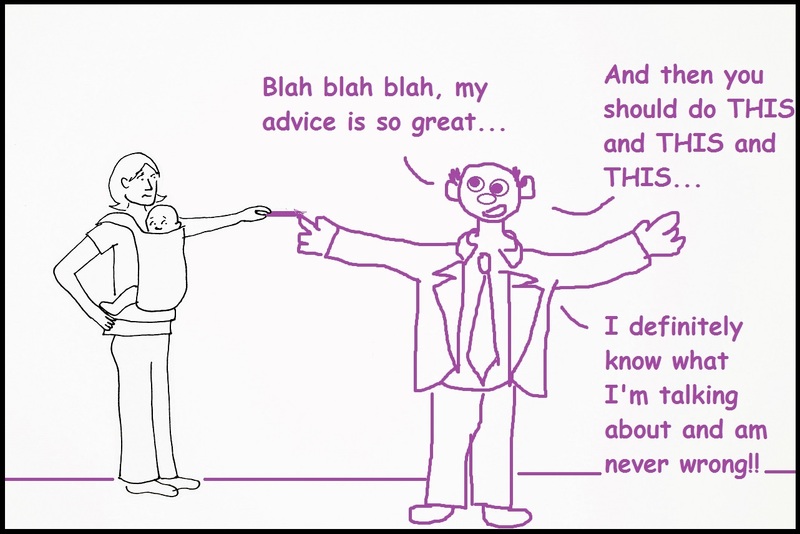 He turned out to be a long-winded expert. He would stop talking, Harold’s mother hoped, when he had made his point. But he didn’t stop talking. 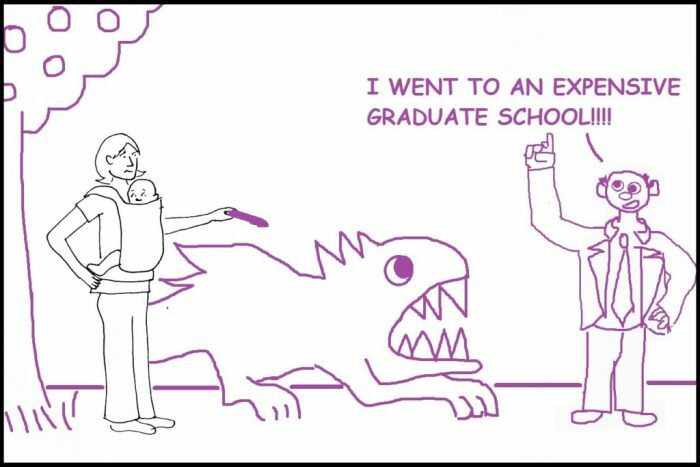 So Harold’s mother drew a frightening dragon to eat the expert. It was a terribly frightening dragon. 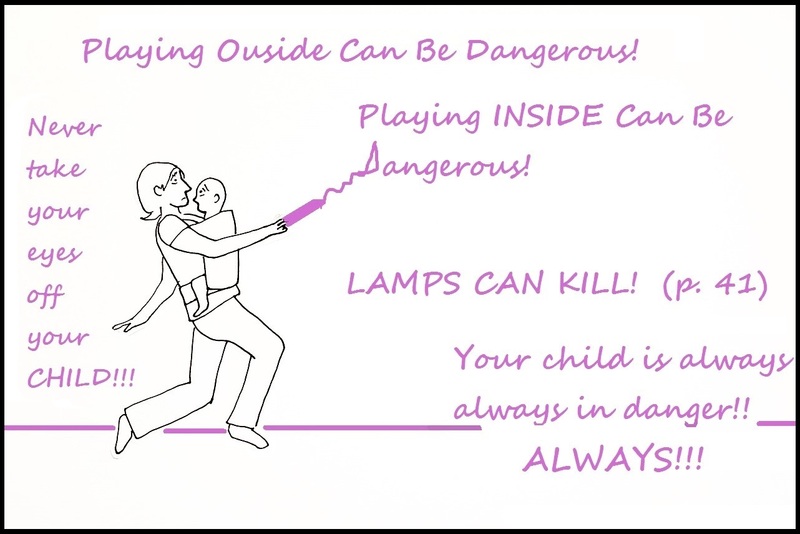 It even frightened Harold’s mother. She was not easily frightened but she wanted to make sure Harold was safe. She backed away from the dragon–her hand holding the purple crayon shook. Her hand continued to shake. Suddenly she realized what was happening, but by then Harold’s mother was over her head in an ocean of frightening, sensationalist headlines and unsolicited advice. She came up thinking fast, and in no time had drawn herself noise cancelling headphones. She walked for a while wearing the headphones, relaxing and enjoying baby Harold. Caring for him was hard, but he was sweet, and such a wonderful baby. She loved him, but she also missed being around other adults. So she drew a mom’s meetup group at a local restaurant. 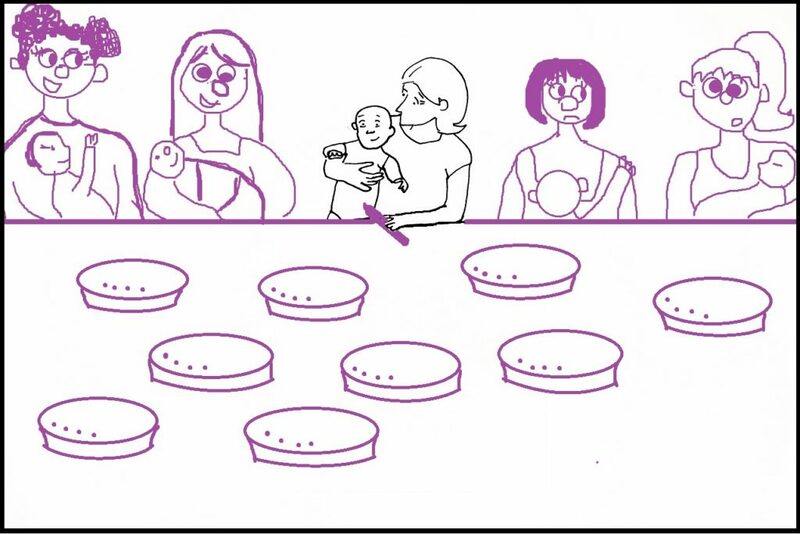 They had ordered nine kinds of pie because everyone had different dietary restrictions, but they turned out to be the nine kinds of pie Harold’s mother liked best. She chatted with the mothers, a few of whom were judgmental (there are always a few people who are judgmental), but most of whom were very nice and also uncertain as to what they themselves were doing. 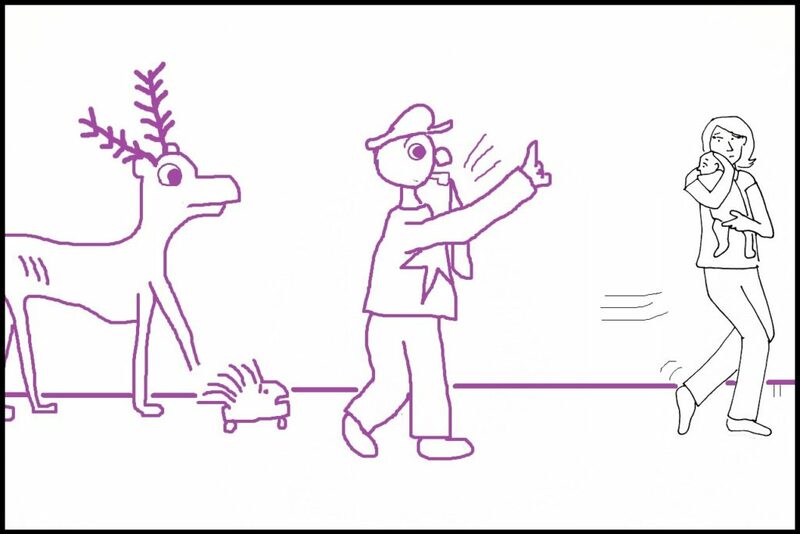 Harold seemed restless so his mother drew a gentle moose and a sweet and not-overly-sharp porcupine for him to play with. But someone called the authorities and told them that a woman was letting her son play with wild animals. The police arrived and Harold’s mother grabbed Harold and ran away. Harold’s mother was frustrated. She was nervous and a little bit tired, and wanted to go back to her old life, but was aware that her old life didn’t really exist anymore. So she stood for a while cradling Harold. She thought about her new life, whatever her new life was going to be. And that was when Harold’s mother realized something. 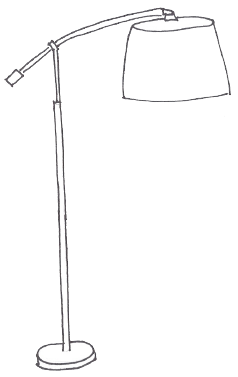 She hadn’t needed most of the baby items she had initially drawn for Harold, but she did need a supportive community of people that were conducive to raising a baby. So she began to draw them. She drew a nearby day care center that was affordable and trustworthy. She drew friends and family that lived nearby, many of whom also had kids and offered to help. 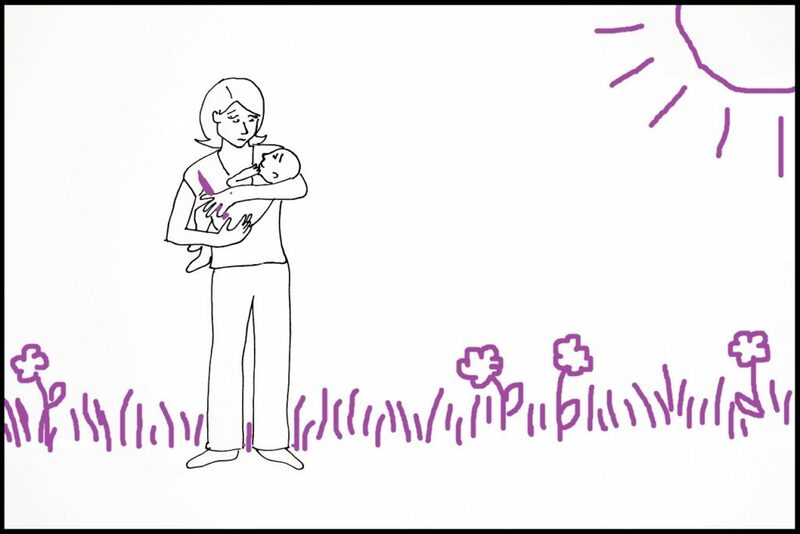 She drew up a policy at her job about paid maternity leave. She drew up a rule about flexible hours and occasionally working from home so that when she was in a pinch she could both care for Harold and do her best not to let down the people at her workplace. Her old life had always been an adventure. And she hoped this new life would be an adventure as well. And as she placed Harold silently in his crib she gave him the two best things she could think of. A kiss, to let him know how much he would always be loved. And in the tiny curled fingers of his hand, his own purple crayon. Thanks for reading. 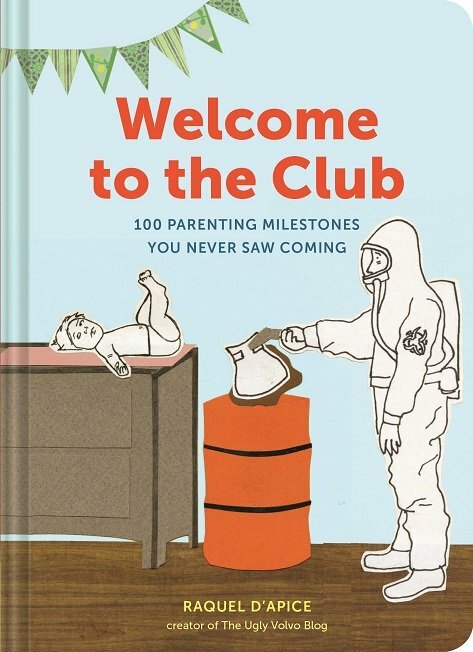 If you enjoyed the post and are looking for a baby shower gift that isn’t a onesie or a bunch of washcloths, I wrote a book for new or soon-to-be parents called Welcome to the Club: 100 Parenting Milestones You Never Saw Coming that’s available at Amazon, Barnes and Noble and Indiebound. 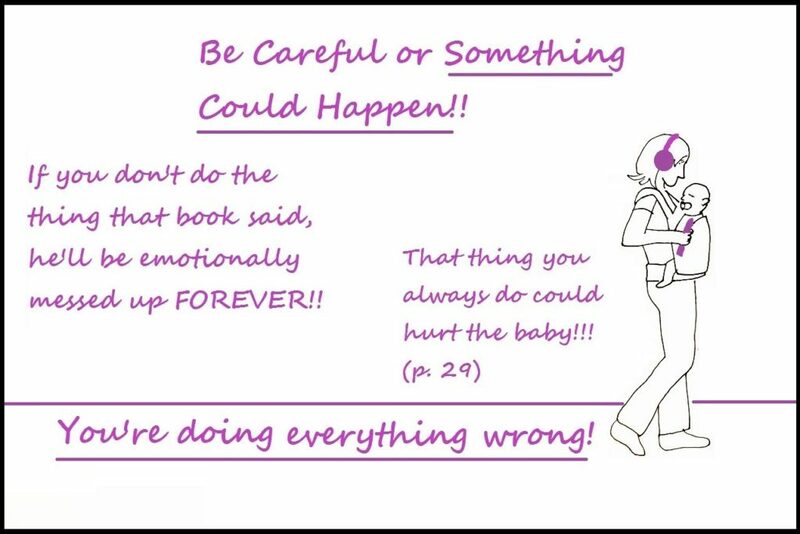 You can also read it if you have older kids or grandkids or no kids at all because honestly, how would I stop you? I don’t even know where you live. 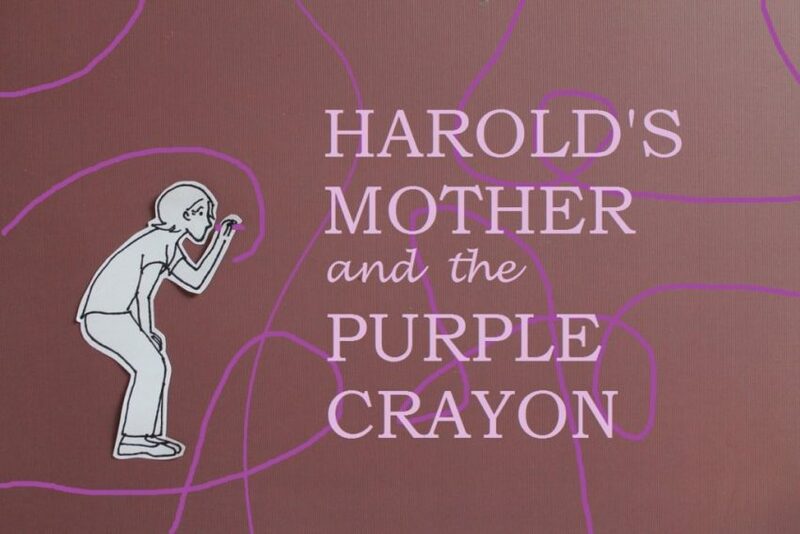 But if you decide to buy it and are on a book buying website anyway, pick up a copy of Harold and the Purple Crayon too because it’s fantastic. Also, Chronicle Books is sponsoring a giveaway that ends 10/26/16 and you can enter to win a bunch of baby stuff here. You can also follow The Ugly Volvo on Facebook and Twitter or you can not do any of those things.